Translations and Transversions of Twenty-One Minus One Programmed Poems. In Collaboration with Gabriela Jauregui. In 1979, Paul Braffort, a founding member of the OuLiPo, published Mes hypertropes: Vingt-et-un moins un poèmes à programme as an homage to the other writers who were members of the Workshop for Potential Literature at the time. 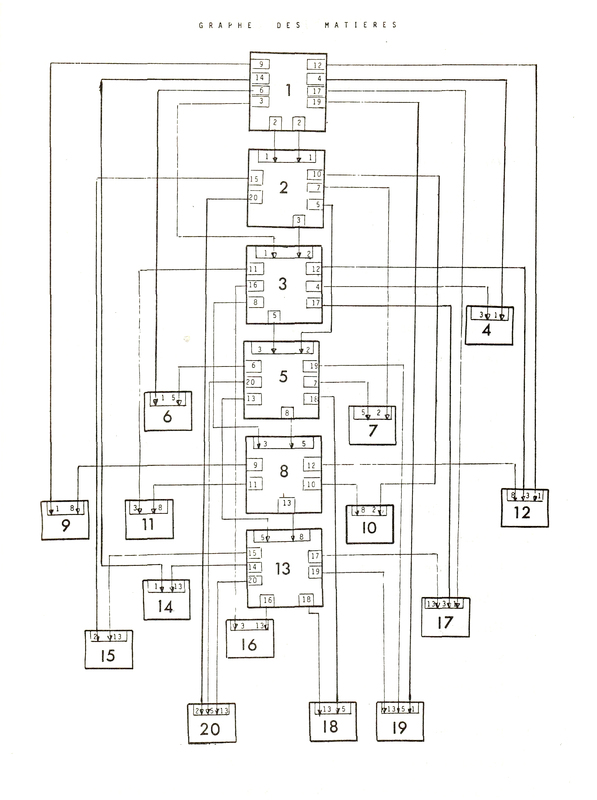 The sequence of twenty interlinked “programmed poems” operates according to Zeckendorf’s theorem that any number can be expressed as the sum of two or more Fibonacci numbers. Part of the content in each poem is thus “programmed” by the poems containing those Fibonacci numbers that can be added to make it (for instance, the 20th poem contains phrases that appeared in 13, 5, and 2, which together add up to 20). Despite this heady constraint, the poems are filled with the joie de vivre, word play, and bawdy wit that characterize Braffort’s writing and music (he is also a well-known cabaret singer and has released several albums of French songs). With Braffort’s approval, we have taken a twofold approach to this work, providing direct English translations alongside collaborative poems of our own—“transversions” that intersect with, re-create, and occasionally subvert, his constraint-based polyglot poems. Poems from this manuscript have appeared or are forthcoming in The Drunken Boat, Aufgabe, Drunken Boat, New American Writing and Lana Turner: A Journal of Poetry and Opinion. The manuscript (101 pages with translators’ notes) is available and includes unpublished collages and drawings by Braffort to accompany the poems.